Ritsuko is a classmate of Kaoru and Sentaro and an old friend of the latter. 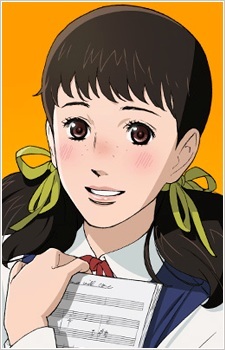 This kind, always cheerful and charmingly-freckled high school freshman is also the poster girl for Welcome Records, her family's record shop. The basement of the shop has a practice studio that serves as a hang-out for Sentaro, Kaoru, her father, and assorted jazz cronies.